model:JP75-300. 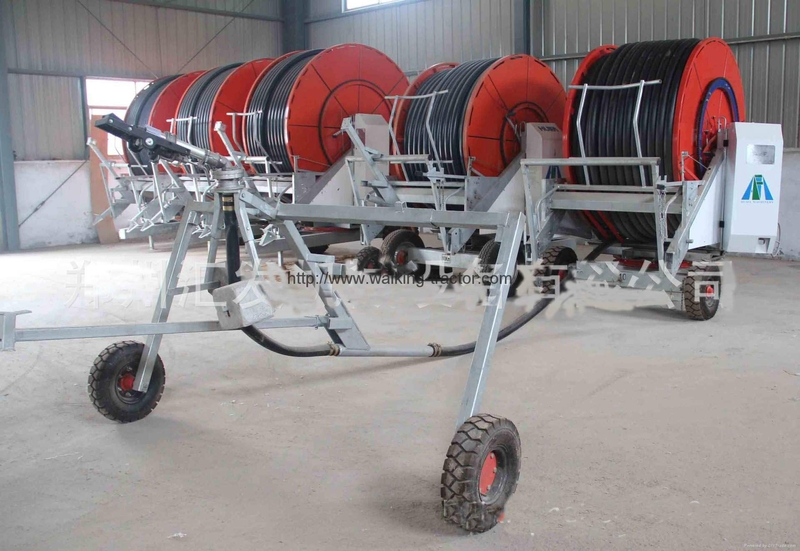 irrigation capacity: 180000 spare meters per 10hours. dimension:5.2*2.2*2.6m weight:2100KGS. tube diameter: 4inch. power:4 inch water pump and 15HP diesel engine. tube length:400M. Flow 91 (m3 / h) LIFT:32M PE PIPE DIAMETER: 75MM. PE PIPE LENGTH:300MM. WORKING AERA:300MU. Winding irrigation mainly by the chassis, reel, PE pipe, water turbines, gearboxes, speed compensation means and water vehicles, and its working principle is to use water pressure through a turbine, gearbox and drive train rotating reel, end pipes so as to drive block to the host end of rewinding direction, water traffic at the set speed uniform walking back, walking side edge water, until the completion of irrigation throughout the land. 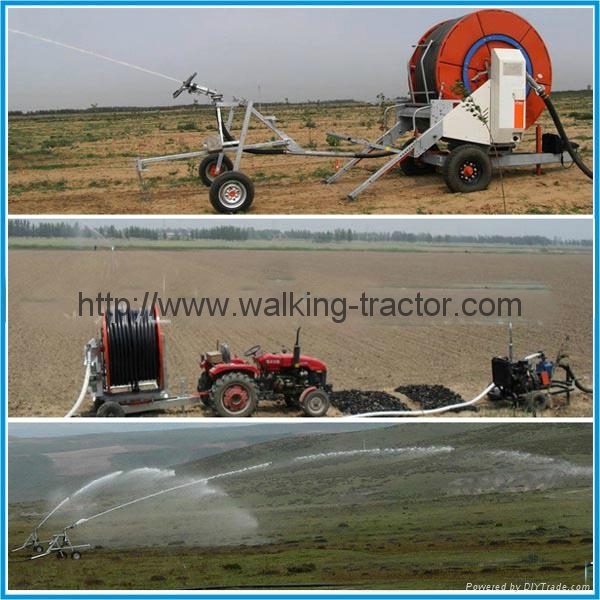 Winding irrigation machine itself does not require additional power, it is relying on entering the system water pressure to complete all the work.